T-Mobile plans buying guide: what's the best T-Mobile plan for you? So, you're out to get a plan with the Un-carrier. T-Mobile prides itself in accessibility, no hidden fees, and easy-to-understand plan deals. Still, there are some things to consider and some digging to do when one is just now choosing where to start. No worries, we studied the offers and are ready to break them down for you, so you can choose the best T-Mobile plan that suits your needs. Let's start! The flagship plan offers unlimited talk, text, and data. Also, T-Mo prides itself in that it won't slow your connection down during times of congestion. Not unless you pass a 50 GB soft limit per month on a regular basis. And, in those cases, you may experience slowdowns during peak hours in busy areas as the network will deprioritize your device's data requests. That's a generous enough limit, right? Well, here's more — listening to music via the most popular streaming services does not count towards your "limit" thanks to T-Mobile's Music Unlimited program. If you get two or more lines on your T-Mobile One contract, you will get Netflix Standard for free. This allows you to use the streaming service on two devices at a time. If you wish to upgrade to Netflix Premium on your own, which will expand your cap to 4 devices at a time, T-Mobile will still pay $10.99 for you and you will only need to cover the difference. It's worth noting that if you are using the Unlimited 55+ discounted plan (for customers aged 55 plus), you are not eligible for free Netflix. However, it's still available on the military discount version of T-Mobile One. Video streaming on this plan is capped at 480p (DVD quality resolution), which includes the aforementioned Netflix streams. This plan will also allow you to use your phone as a mobile hotspot. However, you will be limited to 3G speeds (up to 512 kbps). You can also add a line for a tablet or a smartwatch sidekick to your phone. These will cost you $20 and $10 per month, respectively, and will get unlimited text and 3G data (smartwatch lines also get talk). This plan extends beyond the border — users can enjoy unlimited text and talk when phoning from and to Mexico and Canada and they will still have 5 GB of 4G LTE speeds to use whenever in those countries. As for the rest of the world, you get unlimited texts and data speeds of 128 kbps in more than 140 countries around the globe. You also get texts and 1 hour of Wi-Fi (for limited Web use) on any Gogo-enabled flight from, to, or within the US. Now, if you are not happy with everything the standard T-Mobile One plan provides, you can opt for one of two upgrades. These will up the 480p video cap to 720p, allow for 4G speeds when you are using the mobile hotspot feature, and give you unlimited talk time on outbound calls to landlines in 70+ countries and mobile numbers in 30+ countries. Our recommendation: while the T-Mobile One seems to be a pretty solid offer, we feel like the best value for heavy users here is with the T-Mobile One Plus upgrade. The better video resolution will further increase the value of your free Netflix, and 10 GB of full-speed mobile hotspot use will get you out of tight corners when you need to get something done on your laptop, but have no reliable Internet connection. 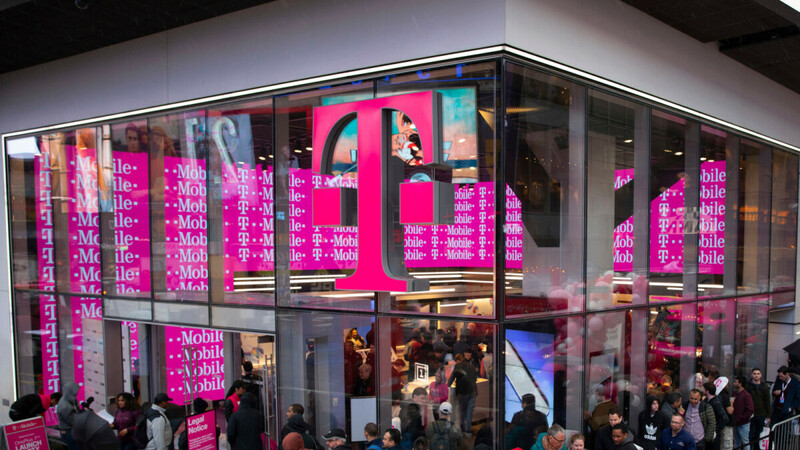 Essentials is T-Mo's new "no bells and whistles" plan. It's a lot like T-Mobile One, but some corners were cut, so that you can get the "essential" unlimited text, talk, and data at a cheaper price. And it does sound like a great deal, especially for families! Now, there's no free Netflix to speak of, and if you plan to do a lot of international travel, T-Mobile One is the better choice. That said, Essentials still has some use in Mexico & Canada and you can add an international package if you happen to travel every once in a blue moon. You can buy extra packs, which will upgrade your mobile hotspot to 4G speeds, or allow for stateside international calling, but if you find yourself needing these services, maybe just go for a T-Mobile One or One Plus plan. Prepaid plans are great when you are not sure how long you are going to be on a service or otherwise don't feel like tying yourself down to a contract. There are also no credit checks to worry about — you just pay up front and get your service with no hassle. There's an option to go for a prepaid T-Mobile One, a family plan with multiple lines, as well as choosing from a few single-line contracts. Let's check them out! Just like your regular T-Mobile One, the prepaid option comes with unlimited talk, text, and data, and all the other conditions we mentioned above for $70. Unlike the timed contract version, there's no Netflix no matter how many lines you hook up to it, and you can't set up auto pay and get a $5 discount. Just like the regular T-Mobile One, you have the 50 GB soft cap, which means that you may get deprioritized in congested areas when you regularly go over 50 GB of data usage per month. Streaming music does not count towards the cap. Video streaming is, again, limited to 480p and you have the option to enable a 24-hour HD pass, which'll cost you $3 per day. The Mobile Hotspot option is available at a limited 3G (512 kbps) speed. There's no way to upgrade to Plus, but you can add an international calls package for an extra $15 a month. That'll allow you to make outbound calls to landlines in 70+ countries and mobile numbers in 30+ countries. If you yourself are traveling abroad, you can get international texts and 128 kbps of data anywhere. In Mexico and Canada, you get talk, text, and 5 GB of 4G data per month, which is still quite generous. Just like One has its prepaid version, so does the new Essential plan. Just like before, the Essential Prepaid plan offers unlimited text, talk, and data plan, with some corners cut to make it more affordable. The Essentials Prepaid plan does not allow you to add an HD pass to it, which means video streaming is capped at 480p and there's nothing you can do about that. Data speeds in Mexico and Canada are severely limited, too. You can add 5 GB of 4G through the T-Mobile app if you happen to need it, but at this point, you might as well just get the $70 T-Mobile One plan. Verdict: if you don't care for the 480p resolution cap on streaming video and don't ever plan to travel out of the USA, save yourself the $10 per month and get the Essentials plan. However, if there's a possibility that you might need to add another line to your contract in the near future, or that you might travel every once in a while, the T-Mobile One plan is the better choice. Big Magenta also has three Simply Prepaid single line plans to increase flexibility. All plans get unlimited talk and text and, on the surface, it seems the only difference between them is the amount of 4G LTE data you get to use per month. You will notice that their pricing is a bit weird, but we'll clear that up in a second. Once you hit your data limit on any of the three plans, you get capped to 128 kbps for the remainder of the billing period. Data Maximizer and Music Unlimited are still available to help you squeeze the most usage of your data cap. You can also get service in / to Mexico and Canada for an extra $5 per month. As with all T-Mo plans, limited usage on Gogo-enabled flights is also allowed. Our recommendation: We feel like the 10 GB Simply Prepaid plan here is a great deal. It's $25 cheaper than the T-Mobile One option, it lets you use your Mobile Hotspot feature at full speed and allows you to choose the streaming quality of your videos. 10 GB is quite a lot of data, too. T-Mobile One is the better option if you plan to be making regular international calls (beyond Mexico & Canada). T-Mobile's simplest plan — if you need a line that you won't be using that much. As an emergency backup or for a person that just doesn't feel that attached to their phone — Pay As You Go will cost you $3 per month. You get either 30 minutes of talk or 30 texts, or any combination of the two that equals 30. After that, a minute of talk or a single text will cost $0.10. If you happen to need on-demand data, you can choose to activate either a $5 one-day pass (500 MB of LTE) or a $10 weekly pass (1 GB of LTE). Video cap is 480p and you'll get to use your phone as a mobile hotspot, though, we'd say keep that for emergencies only, considering the data limit. Have a tablet or hotspot? You can get an Internet Only plan on T-Mobile's network and enjoy 4G LTE on the go. There are plenty of price tiers to pick from. Once you hit your designated limit of 4G speed, you will be throttled to 128 kbps for basic use. As with T-Mobile One, you get to use up to 5 GB of data (or less, depending on plan) from Mexico and Canada, and you have Music Unlimited, which means that streaming tunes from popular places will not count towards your data consumption. All of the Internet Only plans are prepaid, no credit check options with no annual contracts. There's also the option of going with a $0 Mobile Internet Network Access plan. This one keeps a device line active for you. If you need to use it, just open the T-Mo app and buy a data pass — $5 for a daily 500 MB pass or $10 for a 7-day 1 GB pass. Last, but not least, we have T-Mobile's Tourist Plan — a great choice for those visiting the US for a limited time. The plan can remain active for up to 3 weeks and is non-renewable. It allows visitors 1,000 minutes of domestic talk and unlimited international texting. As for data, you get 2 GB of LTE speeds that can be used on-device or via the mobile hotspot option. Even if you manage to wander out of T-Mobile's network, you'll still get 200 MB of data on other carriers to ensure maximum coverage as you travel the US. Once the LTE cap is reached, data speeds are limited to 128 kbps. You forgot the military line. does the 480p cap on the netflix count if you use the account on your tv for example? No, the cap is for your mobile data. Your TV is, presumably, hooked to your home LAN?